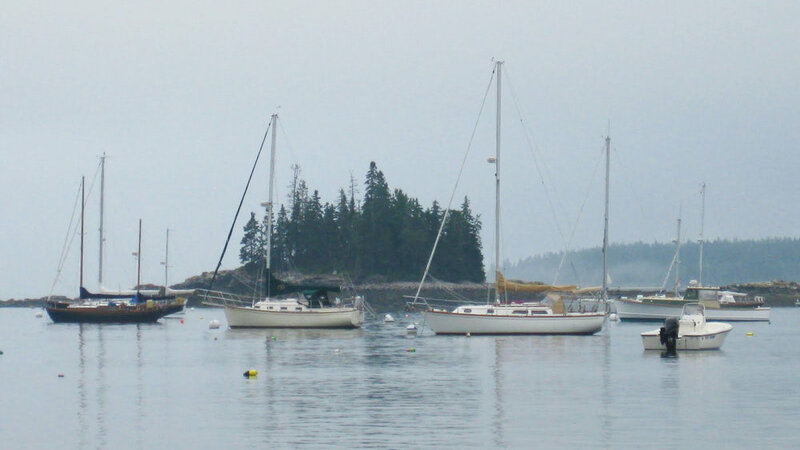 The Lighthouse Inn & Restaurant is located in the peaceful seaside village of Seal Harbor. Midway between all Bar Harbor has to offer, and Northeast Harbor, with sophisticated shops and ferries to the outer islands, this is a quiet haven, and a convenient base for exploring Acadia National Park and Mount Desert Island. The “Islander” free shuttle bus stops almost at our front door. These shuttle buses can transport you and your bicycles to almost anywhere in Acadia National Park and on Mount Desert Island. You can leave your car parked, save gas, and enjoy a wonderful day of activities and sightseeing without having to get behind the wheel. A deep, glacier-formed tarn you can launch a kayak and canoe, or walk the path around the pond’s shore. The nearby Jordan Pond House has been serving popovers and tea since the 1890s. Built in 1982, the Pond House continues the tradition of tea on the lawn and hot popovers, as well as lunch and dinner. Day Mountain Trail is 2.6 miles in and back with a rewarding view, beautiful wild flowers, ferns and mosses. The trail is an easy walk, and the carriage road also goes all the way to the top. Keep watch, you may see horse-drawn carriages along the way, and there is a wide wide variety of bird life. Commissioned by John D. Rockefeller, the bridges has three arches, one for cars, one for walkers on the the Seaside Path (hiking trail) and one for the brook itself. This bridge and carriage road connect the Jordan Pond carriage roads with the Day Mountain carriage road loop to the east. You can walk to Jordan Pond and other trails. Innovation, ingenuity, and the power of imagination created our early vehicles and transformed life in America. Stories about invention and innovation, art, design, women’s rights, and social and economic changes can be traced through the early automobile at the Seal Cove Auto Museum.